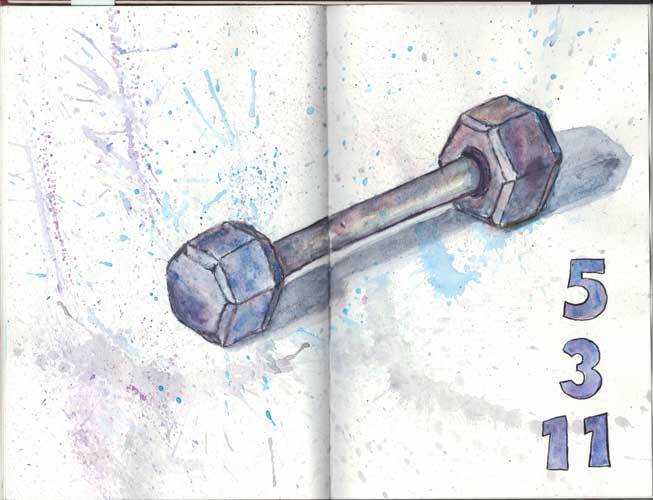 Todays challenge for Every Day in May was EDM 103-draw a piece of exercise equipment that you use to keep fit. I chose one of our hex free weights to draw. The grey color was boring so I just played a bit…..
Boring is what I thought when I saw the list but so many are making me think I should have tried it out. Adding the additional colors to this make it look nice.